Jamia Millia Islamia...a renowned educational institute announces Faculty and Non-Faculty job for the suitable candidates. Deadline- 12th Aug-2016. Processing Charges : Demand Draft / IPO of Rs. 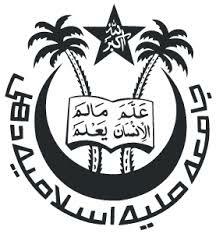 500/- is to be paid in favour of Jamia Millia Islamia, New Delhi - 110025(Rs.250 for SC/ST)(No charges for PWD applicants). Process to Apply : Candidates are suggested to send application in the pescribed format to the Assistant Registrar (Recruitment & Promotion Section), Registrar’s Office, Jamia Millia Islamia, New Delhi - 110025, before 12/08/2016. Please visit http://jmi.ac.in/bulletinboard/advertisement/latest/2 and get more detail.